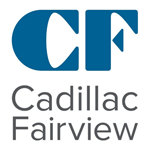 Point Alliance has been a valuable business partner to Cadillac Fairview. They have always demonstrated a commitment to innovative solutions that have assisted us in streamlining our business processes. Specifically, the CFSpace project has been a great success for us and I would like to recognize the contribution that Point Alliance has made in delivering this solution.